There's only 10 days left in the 5th Canadian Book Challenge. I am not sure if I should be trying to read more Canadian books to squeeze in under the wire or save them all up in case there is a Read-a-Thon like last year? As you can see, I'm saving my books up! The 6th Canadian Book Challenge starts July 1 and just in case there is a readathon that weekend I want to make sure I have Canadian books on hand. I just finished the Hathaway series by Lisa Kleypas. I needed some comfort over the last week and that's what historical romance is to me. Sure it's formulaic but there's witty discussion and everyone gets their HEA (happily ever after) and that's what I wanted. Nothing challenging, which is what I was in the mood for. Maybe the book equivalent of chicken pot pie! Then I totally caved into peer pressure. My friend MissKettle is reading the Game of Thrones series, and I have only read the first book. So I started the second book in the series, A Clash of Kings. It's great so far, but so long! My son is still poring over The Everything Soccer Book. Lots of info in there for him! Wee girl is into A Flock of Shoes. At least someone is reading Canadian now! It's as adorable as it looks on the cover. 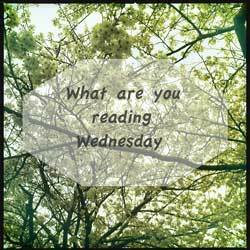 What are you reading this week! Share! Still stumbling through King Rat. It's not bad- I'm just busy with visiting family and work. That's also why I haven't answered your comment on my blog yet, but I'm excited about it! I started Philippa Gregory's The Other Queen a few nights ago. It's quite good at the moment. I've always been fascinated by Mary, Queen of Scots so this is filling in a few bits I didn't know. Although it's fiction, I think most of her books are quite well researched. 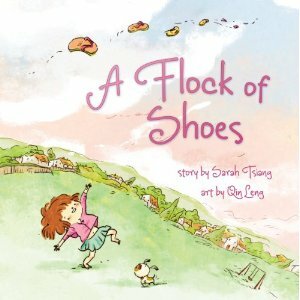 OMG I LOVE the cover of A Flock of Shoes!